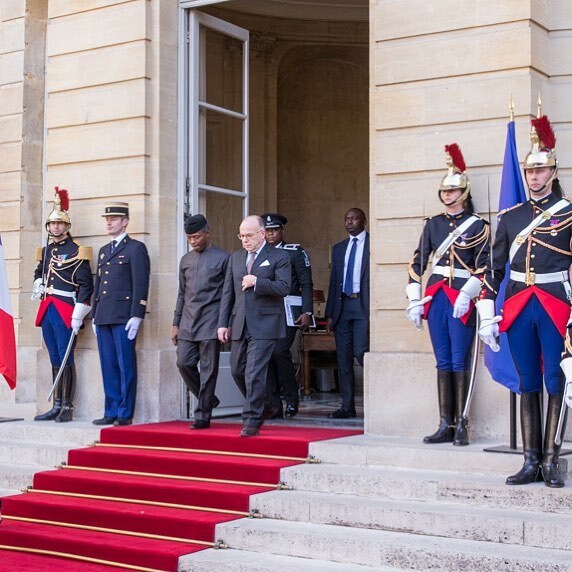 Nigeria and France will continue to deepen the buoyant diplomatic, economic and miltary relationships between the two countries, even as both the Federal Government and the French Republic are now exploring new ways to confront and defeat the ideologies fuelling terrorism. This was the highlight of the bilateral meeting between Vice President Yemi Osinbajo, SAN, and French Prime Minister, Mr. Bernard Cazeneuve, in Paris after the Vice President attended and spoke at the just concluded global forum on Anti-Corruption and Integrity hosted by the Organization for Economic Cooperation and Development, OECD. While recalling the tremendous progress made by the Buhari administration in degrading Boko Haram and suppressing the insurgency significantly, Prof. Osinbajo explained to the French Prime Minister that the need to break the ideological underpinnings of terror is now important.